What An Amazing Week of Soccer! Check out some great pics from Soccer Nights JP 2018! Join Soccer Nights 2019 Email List to Get details for next year! Players receive soccer instruction from a highly qualified volunteer coaching staff. Through skill work, team-building exercises, scrimmages, and games, Soccer Nights seeks to teach the technical skills of the game as well as to improve overall physical fitness and encourage a healthy lifestyle. Soccer Nights works to instill life skills and create opportunities for leadership development for its players and volunteers by integrating hard work, team building, goal-setting, and encouragement into the program. Soccer Nights is designed to build relationships and bring together people from diverse backgrounds. 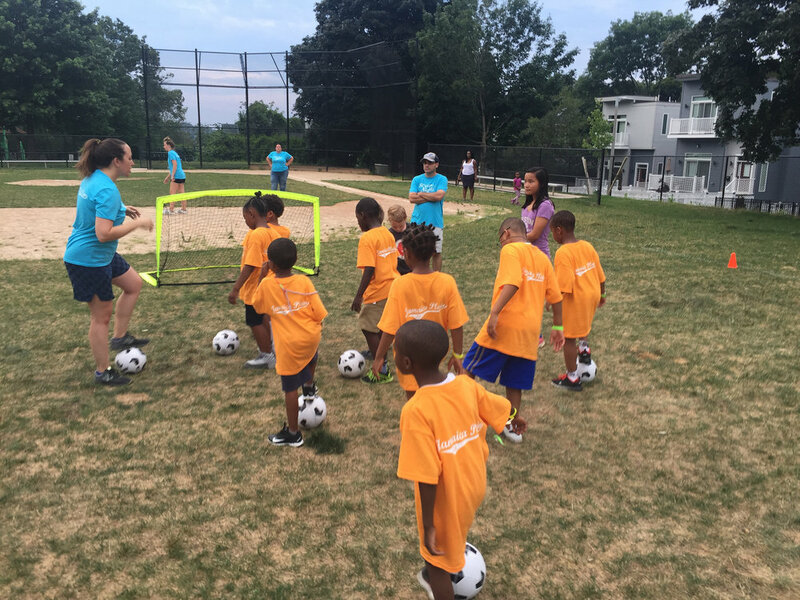 Soccer Nights adapts to each neighborhood location to create a welcoming, friendly environment that fosters diverse and meaningful relationships.